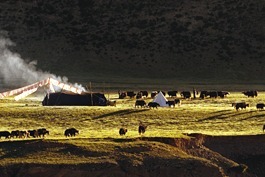 As the highest plateau on earth, Tibet is often called the ‘Roof of the World’. 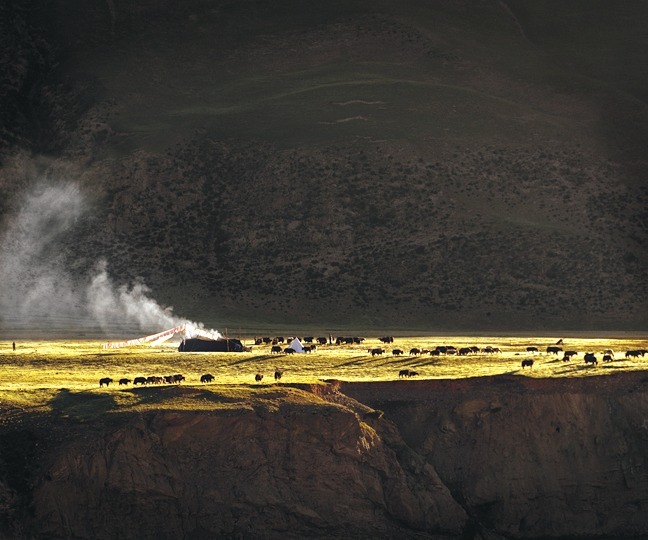 Given its extreme altitude, majestic snowy mountains, vast grazing steppes and raging rivers, Tibet’s natural environment is both breathtakingly beautiful and also dangerous, harsh and vulnerably fragile. The qualities developed in such an environment are what make Tibetans independent, hardy, courageous and extraordinarily cheerful, no matter what comes their way. Spirituality and culture are their mainstay. Dancing and singing come naturally and highly sophisticated arts and craftsmanship are greatly appreciated. 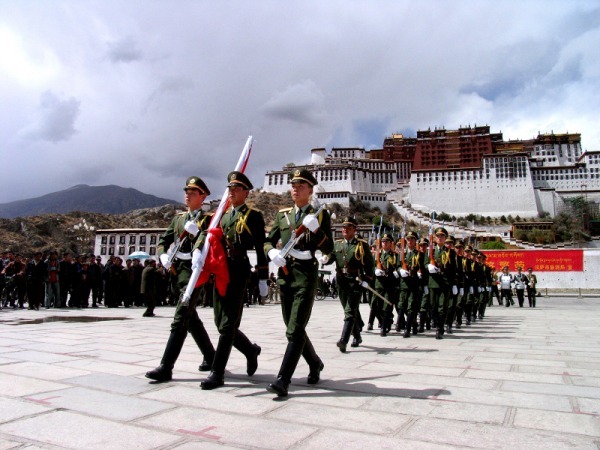 Until Communist China’s army invaded in 1950, Tibet was a peaceful, isolated and independent country made up of three distinct provinces. The holy capital, Lhasa, was in Central Tibet or U-Tsang; Eastern Tibet – or Kham – bordered China, as did Amdo to its north. Today the entire plateau is under Chinese occupation and only a relatively small central part is recognized by Beijing as the ‘Tibet Autonomous Region’. All of Amdo and most parts of Kham are fully integrated into China. 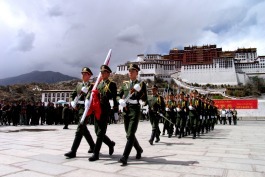 The whole of former Tibet is swarming with Chinese armed forces and migrants keep pouring in – swelling Tibet’s population and dominating most enterprises. Religion, such an important part of Tibetans’ everyday life, as well as cultural events, are extremely restricted and Chinese language is dominant in government schools. 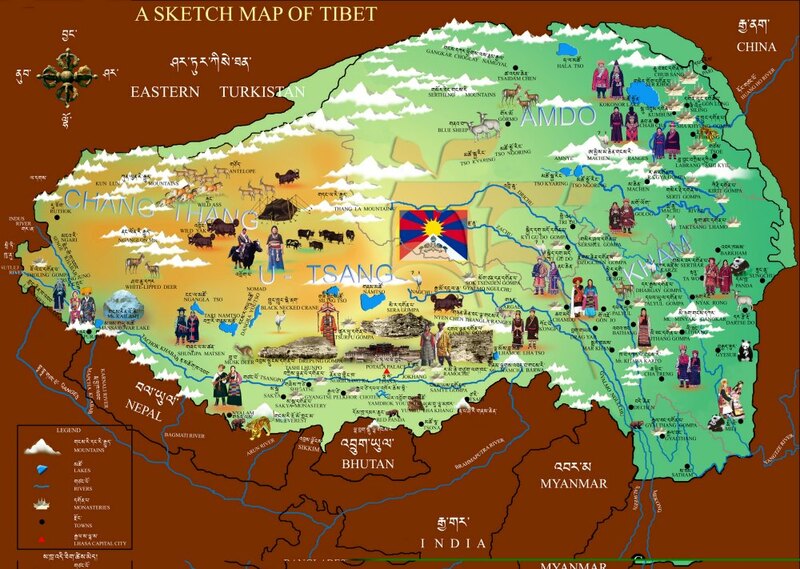 As a result, many frustrated Tibetans continue to risk the dangerous journey across the Himalayan mountains to the imagined freedom of India.